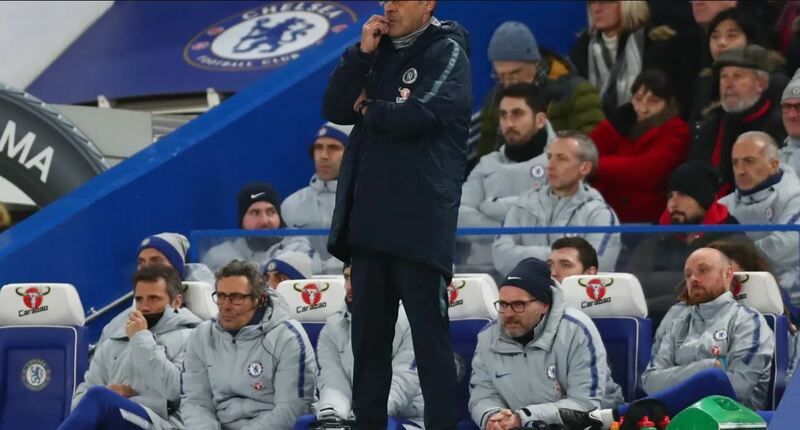 If Sarri could replace one Chelsea player, which would it be? Maurizio Sarri has a very particular style, and a very particular way of managing. He arrived last summer at Chelsea, assessed his options and picked out his first XI. Since then, little has changed. With the exception of Emerson getting ahead of Marcos Alonso at left back, and some tinkering in the midfield three, Sarri has changed little. But if he was alllowed to upgrade one position in the team, which would he choose? Striker was the obvious option, before he was given a gift-wrapped Higuaín in January. Jorginho is his man, Kante is too good to be replaced, and Kovacic seems to have been his choice, so midfield should be sorted. We spent a world record fee on a goalie last summer too, so we can rule that out. READ MORE: How did Emerson do as a Marcos Alonso replacement? That really leaves the defence then. A more effective attacking right back would be a good choice, but above all a reliable centre back would surely dominate Sarri’s wishlist. Both Luiz and Rudiger have qualities that the Italian coach can use, but put together they just don’t have all the pieces in place. If he sticks around for next season, expect to see a top class defender be a priority in the summer – if we can sign anyone, that is.